* Better structure the international research cooperation in this field. The Global Research Alliance is one of the major international initiatives participating in the CIRCASA project, along with 4 per 1000 – Soils for Food Security and Climate and the Joint Programming Initiative on Sustainable Agriculture, Food Security and Climate Change (FACCE-JPI). The Climate Change Agriculture and Food Security program (CCAFS) and the Water, Land and Ecosystems (WLE) programs of the CGIAR, and the Intergovernmental Technical Panel on Soils (ITPS) of the Global Soil Partnership (GSP) are also involved, along with 23 Partners. A Global Soil Organic Carbon Map has been released by the Intergovernmental Technical Panel of the Global Soil Partnership at this year’s World Soil Day, by our Partner the Food & Agriculture Organisation. The map, based on data from 110 countries, is designed to provide users with information to help monitor soil condition, identify degraded areas, set restoration targets, explore SOC sequestration potentials, support greenhouse gas emission reporting under the UNFCCC, and make evidence-based decisions to mitigate and adapt to a changing climate. 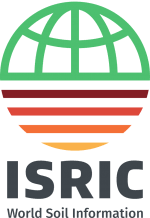 The Global Research Alliance is delighted to welcome our newest Partner, ISRIC – World Soil Information. 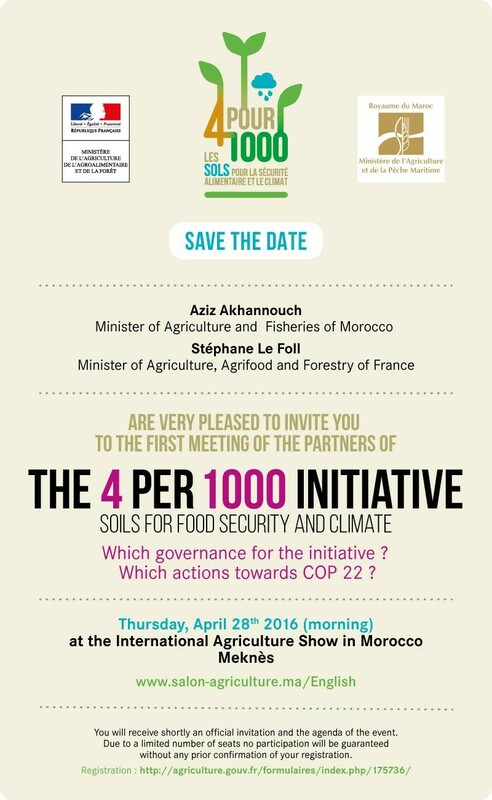 ISRIC is linked to other global soil initiatives, such as the Global Soil Partnership, led by the Food & Agriculture Organisation. Together, ISRIC and the Global Research Alliance are looking forward to enhancing collaborations with countries and working on our Soil Carbon flagship, which is strongly connected to our existing Partner FACCE-JPI’s Coordination of International Research Cooperation on Soil Carbon Sequestration in Agriculture Horizon 2020 Coordination & Support Action (CIRCASA H2020 CSA). Two highly qualified Scientific Officers are sought for INRA (National Institute for Agricultural Research) soil carbon programmes based in Paris, France. The research program has a focus on soil organic carbon, in relation with food security and climate change challenges. CIRCASA (Coordination of International Research Cooperation on soil Carbon Sequestration in Agriculture) aims to develop international synergies concerning research and knowledge transfer on agricultural soil C sequestration at European Union (EU) and global levels. Note that CVs must be received before 22 September 2017, and availability to start on 1 November 2017 is required. 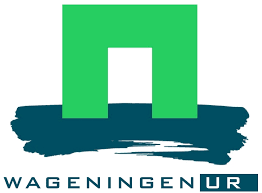 In a recent study by Wageningen University & Research Centre, management interventions to increase the supply of organic carbon were tested with a linear programming model called NutMatch. NutMatch was applied to crop rotations with different mixtures of organic cattle slurry, pig slurry or compost, or with a mineral fertiliser. The study found that rotational crop residues, cattle slurry and compost each substantially contributed to soil organic carbon accumulation (range 200-450 kg C ha-1 yr-1); contributions of pig slurry and cover crops were small (20-50 kg C ha-1 yr-1). In terms of greenhouse gas emissions, it appears that the trade-offs between carbon inputs and emissions of greenhouse gases (notably N2O) or other pollutants (NO3, NH3) can be substantial. The global initiative, ‘4 per mil, Soils for Food Security and Climate’ of the Lima-Paris Action Agenda was launched during the December 2015 COP21 in Paris. It includes both an action plan and a research program, and is supported to nearly 150 signatories (including countries, regions, international agencies, the private sector and NGOs). A Scientific Officer is sought for a two-year tenure to assist in the development of the international research program focussing on soil organic carbon in relation to the challenges of food security and climate change. Development will be supported by CGIAR, the GRA, INRA, CIRAD, and IRD in France; and by other national, European, and international partnerships. Candidates are required to be trained in soil, environmental, or agricultural science; and to excel both in communicating research results and in organising events. Professional experience (2-5 years) would be appreciated. Working languages are French and English. The position is based at INRA’s headquaters (downtown Paris), and will involve travelling.